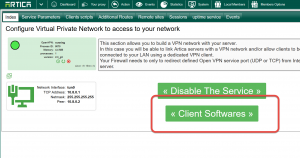 The native VPN functionality in Windows is not compatible with OpenVPN. 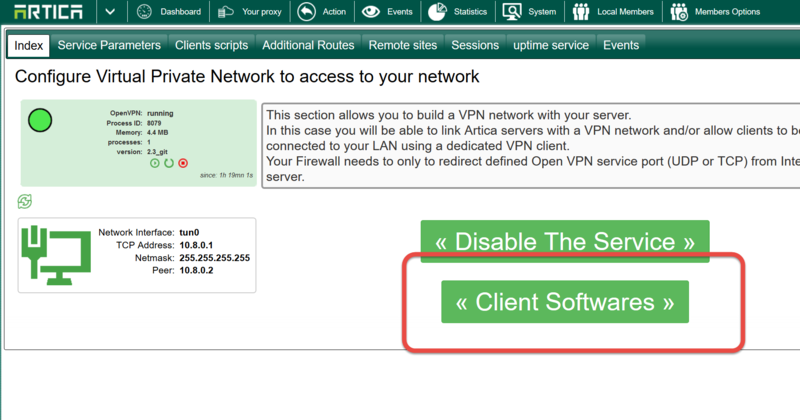 To establish a VPN connection, your users require to download and Install a client software. On the main VPN screen, click on the “Client Softwares” button. Download the package according your operating system and install it on your clients computers.